. كما يقدم Hotel Richmond on Rundle Mall الكثير من الخدمات لإغناء رحلتك في أديليد. يقدم هذا الفندق العديد من الخدمات الكفيلة بإرضاء أكثر الضيوف تطلباً. بالإضافة لهذا,تتضمن كل غرف الضيوف مجموعة واسعة من وسائل الراحة . بعض الغرف توفر حتى مناشف, بياضات, اتصال لاسلكي بشبكة الإنترنت (مجاني), غرف لغير المدخنين, مكيف هواء لإرضاء أكثر الضيوف تطلباً. يمكنك طلب اللائحة الكاملة للخدمات في الفندق ومن بينها بلياردو. يشكل Hotel Richmond on Rundle Mall بخدماته الراقية وموقعه الممتاز، قاعدة مثالية للاستمتاع بإقامتك في أديليد. يكون مكتب الاستقبال مفتوحًا من الساعة 06:00 صباحًا إلى الساعة 12:00 عند منتصف الليل من الأحد إلى الخميس، ويكون مفتوحًا طوال 24 ساعة يومي الجمعة والسبت. Great reasonably priced hotel in a great location. Rooms aren't very fancy but they have everything you need in them and are clean. Lovely reception staff and the restaurant & bar are affordable and has a good vibe. great location. michelle was super proactive about emailing ahead of time to notify of events that might impact the stay. the room is spacious and mostly clean. carpet and windows could use a little attention. needs a bit of updating but really was quite comfortable. large room and really comfy bed. large bathroom and tub. the halls and stairwells were actually really dirty. i was on the 5th floor but used the stairs. that area really needs attention. frayed carpet. food particles, dirt, stains. looked like it hadn’t been vacuumed in days. but you don’t stay in a hotel for the stairwells. and there was a lot going on that weekend so it might have been a fluke. in any case , the staff is lovely. the room is clean, roomy and safe. and it’s a great location on Rundall Mall. good value for money, location can’t be beat,and i’d absolutely stay again. Second stay here, and at least as good second time around. Spacious bedroom and bathroom; very quiet, with good natural light in absolutely central location. All recently refurbished. Staff both charming and efficient. 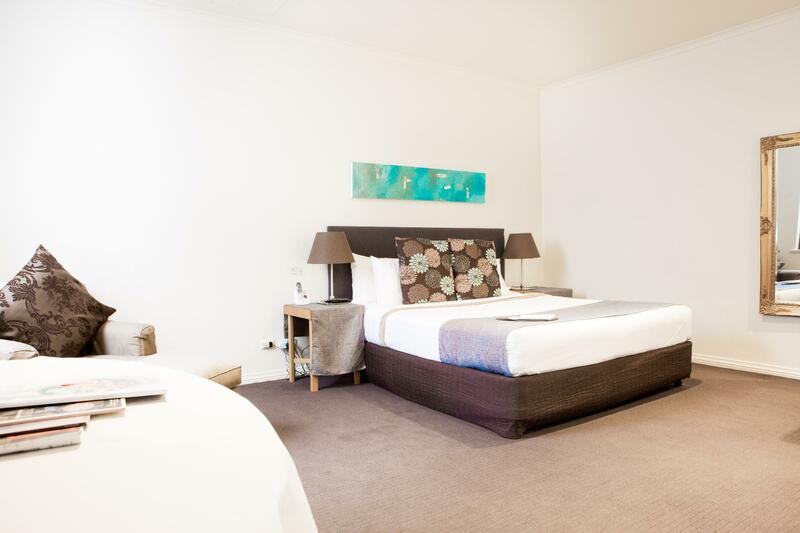 Really happy with my choice not knowing much about Adelaide when I first made my booking. Its right where you need to be if you are visiting Adelaide. Good choices of eateries. Near Adelaide Uni if that's where you need to be. Couldn't be more central really as you walk straight out on to main shopping street. Rooms fairly basic but was quite largeand clean. Staff friendly and helpful.A little difficult to locate as only small frontage onto street. Nice things: * Location location location! Right on the mall. * Super friendly check-in staff. * Room was huge * iPhone dock was a nice touch * at least 4 full sized towels Minor niggles: * The event space on the same floor as my room was in use both nights I was there - music until midnight. I was warned about this at checkin and they through in some complimentary mini-bar items. Also didn't get a chance to try the bar/restaurant because of this. * Bed was obviously two mattresses moved together. * Bathroom was a bit dated, but a decent sized shower and bath, with decently hot water at a decent pressure with decent products was decent. All the receptionists were extremely helpful and charming. The hotel is right on the mall and there is a restaurant in the hotel but it was closed one night for a private party. When you exit the hotel turn right and cross the road to find many restaurants. The museum and Art Gallery are immediately behind the hotel and the free bus stop is behind the hotel. Don't bring a car there is no parking. 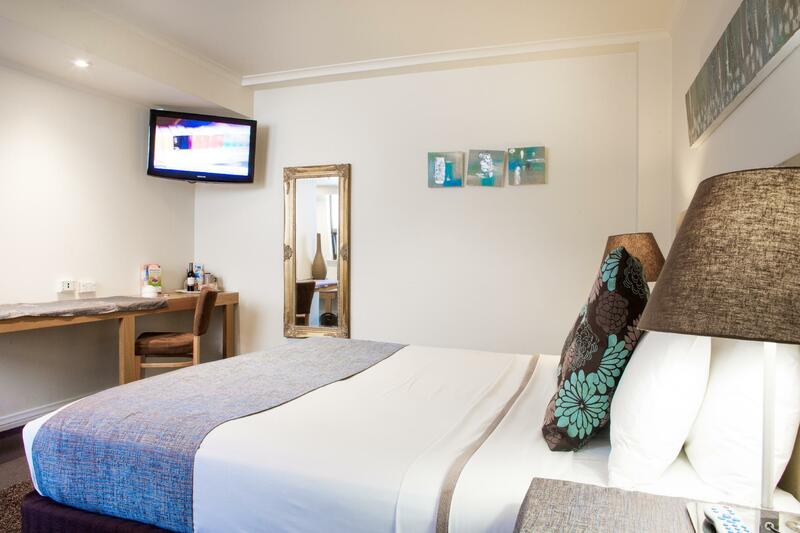 The rooms are clean, modern and spacious. The staff are amazing. Nothing is too much trouble. Rooms near the function areas can be noisy, my request to move to a quieter place in the hotel was acted upon swiftly and with out any sign of annoyance or grumbling from the staff. I would stay here again without hesitation. Right in the middle of all the shopping and food! Had bubble tea, chinese food, Japanese food and supermarket all right at your door step! Nice staff who was very very helpful! The elevator (lift) was under repair so we had to use the slower than pitch staff lift. The fridge was packed with over priced STUFF, so we had no room to keep our cool purchases from Woolworth. Prices in the restaurant were EXORBITANT! Our deposit was taken from our AMEX card and AUS >US>CAN Exchange was applied. When it was refunded another AUS >US>CAN conversion left us with far less than our deposit return. Such practices is a SCAM of AGODA and is probably a BIG CASH COW for them. Have stayed here for work quite a few times before and was happy to come back for leisure. Unfortunately I think there must have been a change of management or ownership as it's not nearly as good as it once was. Significant renovation going on which was not advised prior to checking in, normal lift was not in operation due to renovations and the service lift was filthy with sand and concrete dust. The floor our room was on was filled with buckets of more sand and chipped concrete which were a tripping hazard. Floor five is the through fare for trades people and the door was slamming constantly, requested a room on a new floor within 15 minutes of arriving, floor five really shouldn't be rented out until they have sorted out their construction. Noticed they will now charge $20 for a 1hr late checkout which is not something I have ever seen for such a modest request. Also there is no mention of room service charge in menu which was added to bill. Front desk great, restaurant staff rude. The room was cosy, clean and spacious, with a sofa and side table! Location was awesome as it was a short walk to the trams and bus stops, and nearby shops and supermarkets. Reception staff were friendly and helpful! 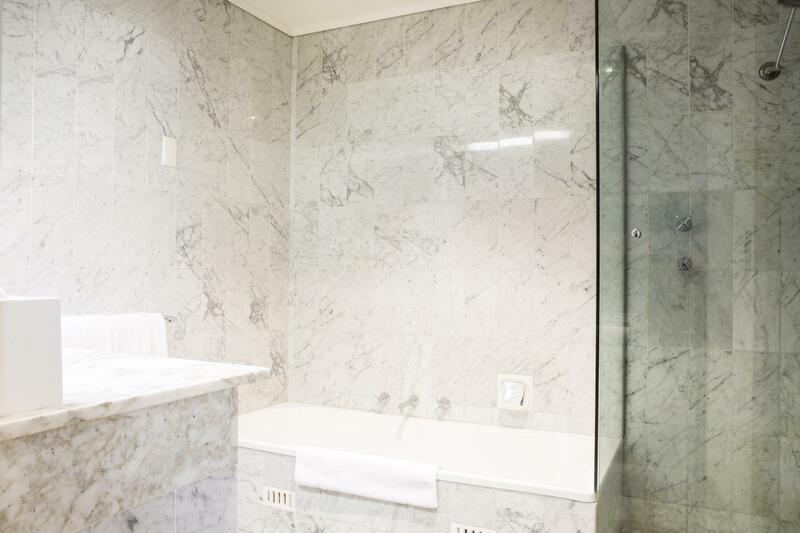 Boutique hotel in the middle of the shopping at Rundle Mall. 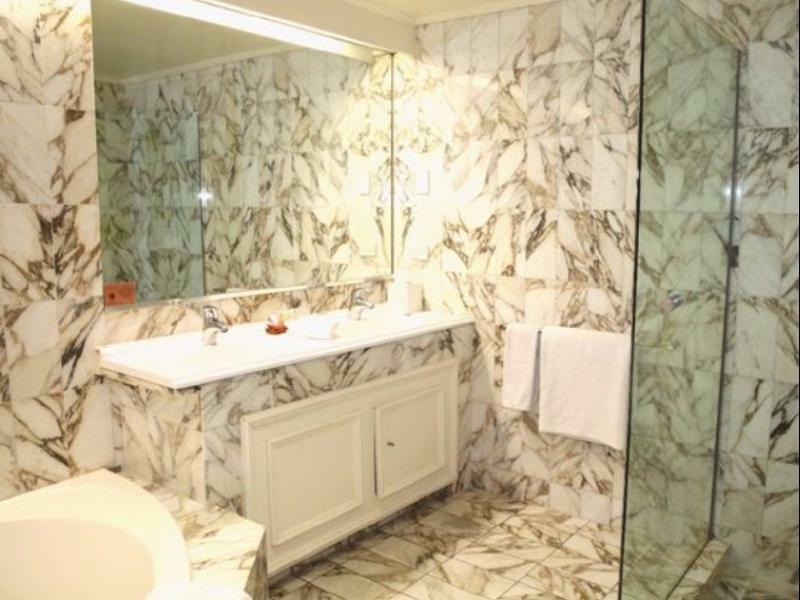 Large rooms and marble bathrooms, but unfortunately not much of a view even though I stayed on the top floor. The restaurant on the first floor is very nicely decorated and the food is tasty and good value for money. There was also a great long bar and a amazing balcony overlooking the shopping street. The hotel is at the centre of Rundle Mall, with many food courts, restaurants and grocery shops like Coles, Woolworth etc nearby. Easy access to metro bus and trams. Though the hotel is kind of old, but overall it was a comfortable place to stay. The room we were assigned to was of a good size. Bathroom was quite big and bed was comfortable. There was a safe in the room. We reached there early (before 12noon) and the front desk lady was very helpful and got us to check in early as soon as the room was ready at 12:30pm. Nice & big hotel room with a yard. Very friendly & helpful staffs. 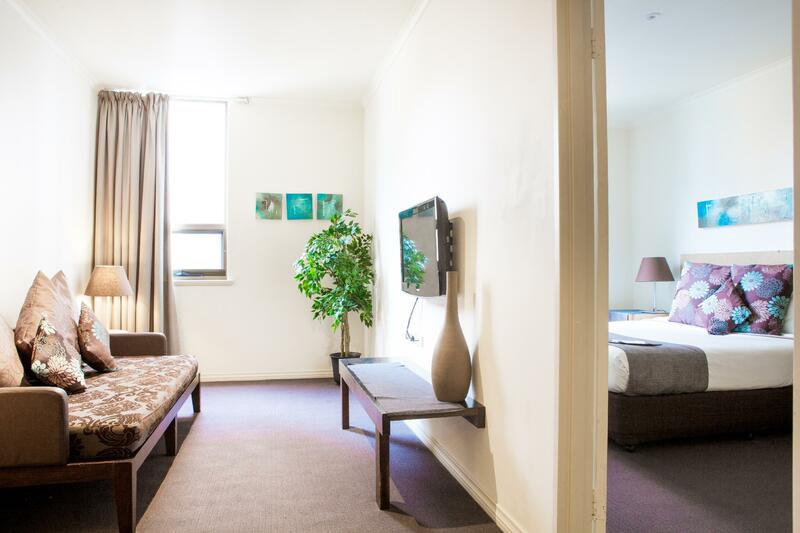 Located right in the heart of the shopping street, 5 min walk from the tourist attractions and Rundle mall free tram station. 2 tram station away from central market. A lot of Asian restaurant around . Over we had great experience! This hotel is strategically located and convenient. The stay has been wonderful and very impressed with the excellent customer service. I must mention, Patrick from Reception Department is extremely friendly, helpful and swift in attending to request. To top it off, Patrick is extremely accommodating, staying past midnight to attend to late check-in. Patrick, if you are reading this, you are AWESOME & we are all grateful for all your kind assistance. Generally happy with the location but parking was quite inconvenient. There is no onsite parking and hence the reception needs to accompany my car everytime I enter or exit. 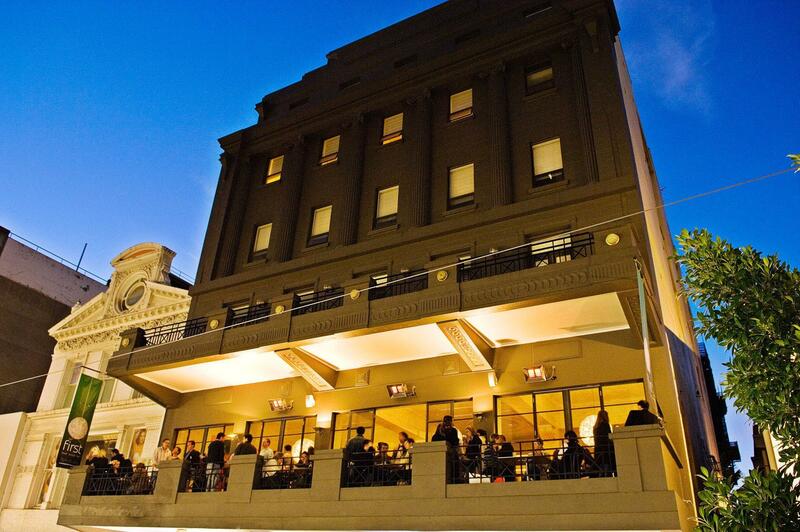 Its located on the golden belt of Adelaide City so it is perfect for shoppers.